England Test captain Joe Root has pledged his future to Yorkshire after signing a contract extension with the county until 2022. After making his County Championship debut in 2011, Root helped lead Yorkshire to back-to-back titles in 2014 and 2015 – captaining the side to the first of those crowns. 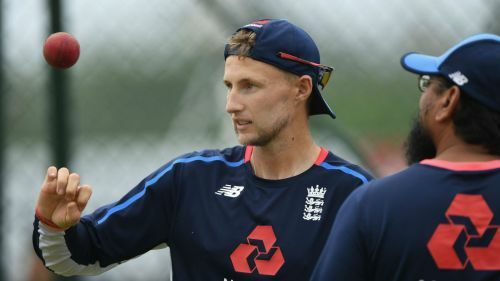 Since 2012 he has split his time between Yorkshire and England, Root accumulating 77 Test appearances after making his debut against India in Nagpur, scoring 6,508 runs. The 27-year-old – who replaced Alastair Cook as Test captain in 2017 – has also represented England 149 times in limited-overs internationals. Last season he only made three championship appearances for Yorkshire, scoring 97 runs, but he had no hesitation in extending his deal by a further three years. "I love playing for Yorkshire. It's my county. It's where I've grown up and what I know," he told the team's website. "It's the White Rose and what it's about. For me, I don't really see myself playing anywhere else. I'm passionate about us as a county being successful. If I've got any opportunity to try and add to that and be a part of something, that's really exciting for me. "I'm looking forward to this new adventure for the club – new ground, young side, it should be a really exciting time." He added: "At times it feels a little bit frustrating because you want to play more, but ultimately you have got to focus on playing for your country, which is quite a big commitment now especially given the amount of international cricket there is. "That makes it very difficult to come and play for Yorkshire, but that little bit more special when you do get the opportunity to. It really counts, it's your one opportunity, or two or three games, to contribute to the team or try and achieve something special. "That's the way I'll continue to look at it, to try and contribute towards something special for the rest of the group."